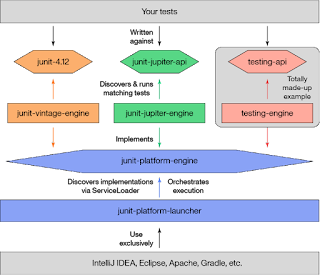 Both Eclipse and JUnit are two of the essential tools for Java Developers. Eclipse is a Java IDE, Integrated Development environment which allows you to code, run and debug Java program from a single window, while JUnit is a unit testing library which allows you to test your Java code automatically. You can write JUnit tests and then you can run them automatically using Maven or Gradle plugin at build time. You can further automate your build using Jenkins which means your Unit test will run continuously and automatically, reporting any break at the earlier possible opportunity. Many Java developers spend their whole work day on Eclipse writing code, running them, and debugging them. That's why it's very important for you to have a good understanding of both Eclipse in JUnit. It also helps to know your tools to be good at what you are doing. In the past, I have shared some useful Eclipse and JUnit books to improve your knowledge and skills about these two fundamental tools and today I am going to share some of the free online courses from Udemy and Pluralsight which you can join to improve your JUnit and Eclipse skills. These courses are particularly good for beginners and you will learn everything you need to work in Java effectively. 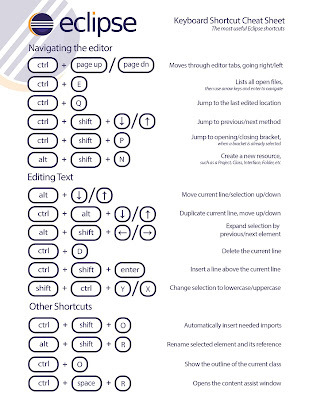 By learning this tool at the start of your career, you will save a lot of time for writing and running your code. Btw, intermediate developers can also benefit from these courses. These courses are good for any Java developer who wants to learn Eclipse and JUnit or either of the technology from scratch. They are absolutely free so there is no reason why you can't join them. Btw, if you are starting with Java, I suggest you to also take a look at The Complete Java Masterclass by Tim Buchalka. Even though the course uses IntelliJIDEA, it's well worth for learning Java from this course as It's the most up-to-date and comprehensive course for Java Programmers. Learning a new technology or programming language is not that easy. You need to spend a considerable time to learn and understand not only the technology but also the tools you need to work effectively, and Java is no different. Eclipse and JUnit are two of the essential tools for Java developers and a good knowledge of them goes a long way to becoming an effective and powerful Java developer. When it comes to learning a new technology or tool, my 3 point rule is to join a course, read a book, and do a project. In order to learn Eclipse or JUnit, you can also adopt the same approach. You can start with these courses then you can follow these Eclipse and JUnit books and once you have a good understanding of both technology and tool then you can start doing projects. 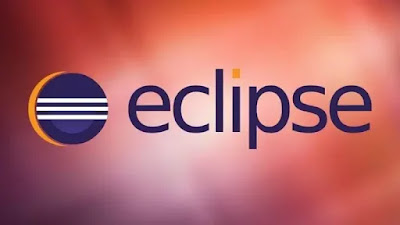 This is one of the awesome course to learn the basics of Eclipse for free. The course is designed for beginners and first times and it not only teaches but also shows how to do stuff in Eclipse. In this course, you go on a fun ride with Eclipse. After completing the course, you should have a number of Eclipse tips and tricks up your sleeve. You will also understand various features of Eclipse like Views, Perspectives, Debugger, Save Actions, Plugins, and Code Generation. The course will also improve your productivity with Eclipse Shortcuts and you will also learn to import projects from Git and the basics of Maven projects. Overall a good course to start with Java Development with Eclipse. This is another beginner level course on Eclipse for Java developers. You can take this course to learn how to develop a Java application with Eclipse. The course will teach you how to install Eclipse and customize Eclipse for your environment using useful plugins. You will also learn how to create Java applications in the Eclipse and how to run and debug them right from the Eclipse. The course also teaches you how to make use of a number of Eclipse productivity techniques such as navigating the source code, generating source code and creating unit tests. The course wraps by showing you how to import and export projects from Eclipse. As the title suggests this course is focused on teaching some useful Eclipse tips and tricks. Most of the Java developer remain content by just knowing how to create a Java project and run that from Eclipse. They never really utilize the full potential of Eclipse by learning keyboard shortcuts and productivity tips and tricks like one shown in this course. This course not only tells you how to run and debug your program but also some advanced tips about dealing with character encoding, Eclipse built path configuration, using Maven with Eclipse and faster installing of the plugin you need for better productivity. It also teaches you how to work behind a corporate proxy and how to connect to the maven repository and Eclipse marketplace from a corporate network. Overall, a fantastic course to upgrade your Eclipse knowledge with free of cost. JUnit is another skill which many Java developer posses but not just good enough. Most of the Java developer I have met and interviewed knows what is a JUnit and have written one or two trial JUnit tests but they never really use JUnit to test their live project or new code they are writing every day. Most of them will give you excuses like there is always a delivery pressure, absolutely no time to write unit tests or TDD but the main reason for avoiding unit testing is often low confidence and not having enough skill and experience to write a unit test for any kind of code. This JUnit tutorial will help you to bridge that gap and teach you all essential concepts of unit testing and JUnit testing framework. And, most importantly how to use eclipse to write and run JUnit Tests for your Java code. This is another good unit testing course for Java developers from one of my favorite instructor, John Sonmez. In this course, John explains the basics of JUnit and guiding you to write your first unit tests. Once the basic is covered you will be introduced to the advanced concept which will help you to write clean tests and use best practices like DRY for creating maintainable test code. After that, you will learn how to integrate JUnit with your existing Ant or Maven build system and how you can automate the creation of JUnit reports. Finally, we'll wrap things up by going beyond the basic uses of JUnit by learning how to use stubs and mocks to really isolate classes and we'll also learn how to use JUnit for more than just unit testing. In short, a good course to learn JUnit in quick time and start writing your first unit test. Btw, this course is not really a free course. You need a Pluarlsight membership to access this course. Monthly membership will cost you around $29 and annual one will be around $299, which give you access to more than 5000 programming and development courses. Though I encourage you to join Pluralsight to give your learning a boost, if you want, you can also take this course for free by signing up for a 10-day free trial, which is more than enough to complete this course. That's all about some of the Free JUnit and Mockito online training courses you can take to learn and improve your unit testing skills in Java. As I have said many times, unit testing skill is essential for professional software developers and there is no excuse for not writing automated unit and integration test at the age of DevOps. Candidate's unit testing skill is also tested during the interview and often candidate with good unit testing skills are preferred. Thanks for reading this article so far. If you like these free Eclipse and JUnit courses then please share with your friends and colleagues. If you have any questions or doubt then please drop a note. P. S. - If you want to learn Java from Scratch, I also suggest you join The Complete Java Masterclass by Tim Buchalka. Even though the course uses IntelliJIDEA, it's well worth for learning Java from this course.